MCW Starz Elite Basketball was pre-empted by Mass Hoop Elite founded in 2006 by Mandy and Zach Zegarowski whose wish was to continue the ongoing success of the past and current members. During the early years we traveled mainly in the New England areas in various leagues and local tournaments. We also added additional teams at various age levels as interest in our program extended. MCW Elite is known for its focus on fundamentals and for creating a culture of “selfless team play” on the court. 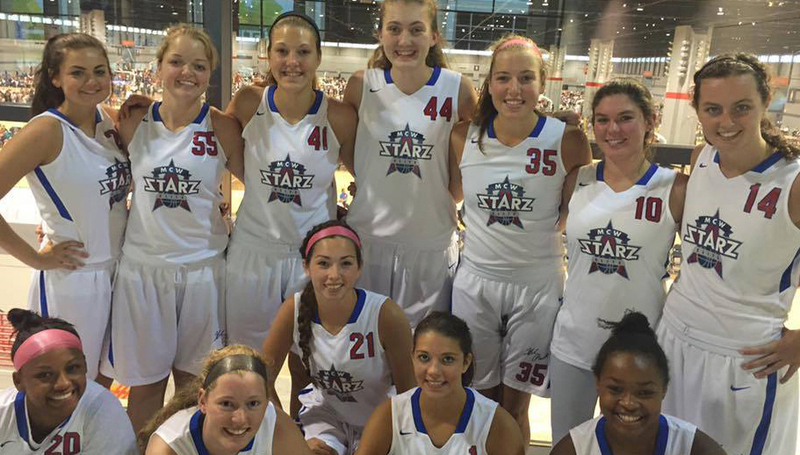 MCW STARZ Elite Basketball is a highly competitive AAU girls program. We continue to win numerous tourneys both on a local and regional level. We continue to strive to compete against the highest level of competition through out New England and afar. Ultimately, our goal is to help committed young ladies reach their highest potential, first as model students & citizens and then as impact basketball players. Our goal is to ensure both academic and athletic performance at the highest levels for our players to enter Division 1, 2 and 3 levels prepared. Elite Basketball requires a serious commitment from both athletes and their families. In order to ensure that fundamental skill development and improvement takes place, regular attendance at practice is required in addition to playing in tournament games. We strive for an appropriate balance between practice and game play. This balance is designed not to overwhelm a players summer or prevent participation in other activities and family time.